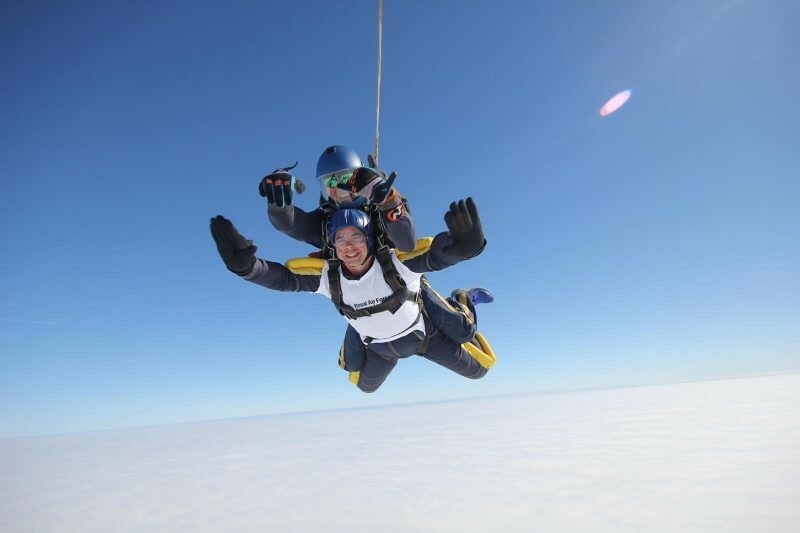 On Thursday 28th March, RAF Benevolent Fund Regional Fundraiser Aaron Tillyer joined a team of more than 30 supporters to jump out of a plane at 13,000 feet! Aaron said: “I’m so glad I did it! I really enjoyed the whole experience. Hanging over the doorway of the plane was so surreal, and then falling into the unknown was just breath-taking. It literally took my breath away. Matt said: “This event was my way of doing something beyond the ordinary to mark the RAF Benevolent Fund centenary. It was a truly force-wide team, drawing from Serving RAF and Royal Navy personnel, industry ex-service and MoD Civilians.